Today is the feast of Saint Joseph. It is a feast or commemoration in all the provinces of the Anglican Communion, and a feast or festival in the Lutheran Church as well as a feast in the Catholic and Orthodox traditions. 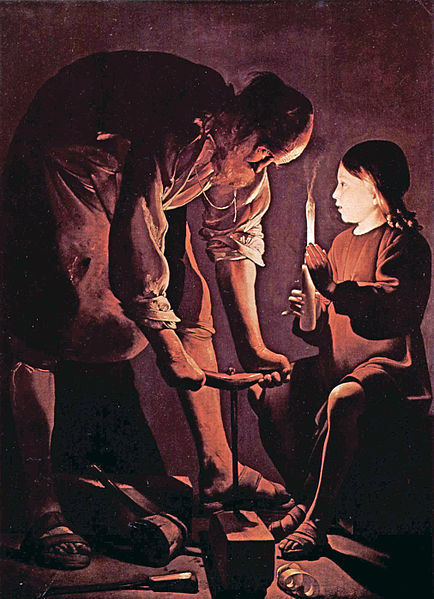 Saint Joseph’s Day is the patronal feast day for Poland as well as for Canada, persons named Joseph, Josephine, etc., for religious institutes, schools and parishes bearing his name, and for carpenters. It is also Father’s Day in some Catholic countries, mainly Spain, Portugal, and Italy. March 19 was dedicated to Saint Joseph in several Western calendars by the tenth century, and this custom was established in Rome by 1479. Pope St. Pius V extended its use to the entire Roman Rite by his Apostolic Constitution Quo Primum (July 14, 1570). Since 1969, Episcopal Conferences may, if they wish, transfer it to a date outside Lent. Jesus is identified in the Gospel of Matthew 13:55 as the son of a τέκτων (tektōn) and the Gospel of Mark 6:3 states that Jesus was a tektōn himself. Tektōn has been traditionally translated into English as “carpenter,” but is a rather general word (from the same root,τέχνη, téchne, (skill), that gives us “technique,” “technical,” and “technology”) that could cover skilled producers of objects in various materials, even builders. But the specific association with woodworking is a constant in Early Christian tradition. Justin Martyr (died c. 165) wrote that Jesus made yokes and ploughs, and there are similar early references. John Dominic Crossan in The Historical Jesus puts tektōn into a historical context more resembling an itinerant worker than an established artisan, emphasizing his marginality in a population in which a peasant who owns land could become quite prosperous. Other scholars have argued that tektōn could equally mean a highly skilled craftsman in wood or metal, perhaps running a workshop with several employees. Geza Vermes has stated that the terms ‘carpenter’ and ‘son of a carpenter’ are used in the Jewish Talmud to signify a very learned man, and he suggests that a description of Joseph as ‘naggar’ (a carpenter) could indicate that he was considered wise and highly literate in the Torah. 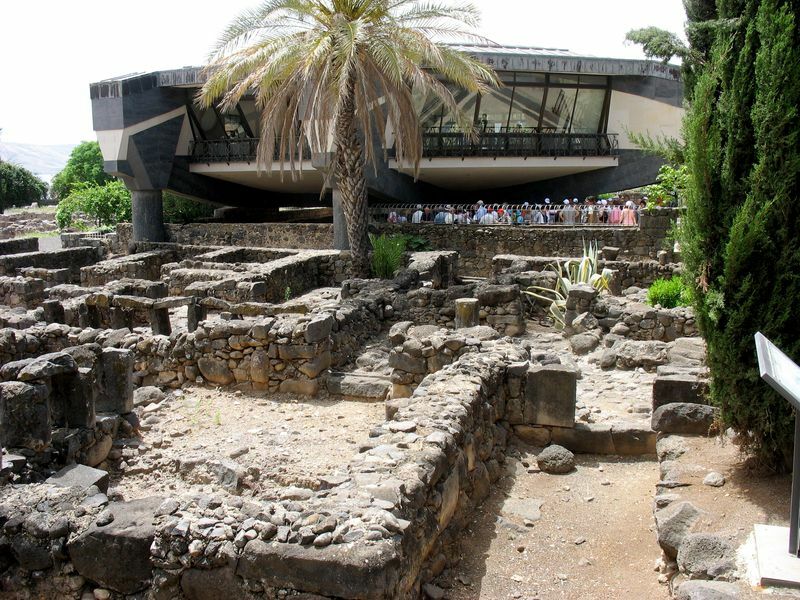 In Joseph’s day, Nazareth was an obscure village in Galilee, about 65 kilometers (40 mi) from Jerusalem, and barely mentioned in surviving non-Christian texts and documents. Archaeology over most of the site is made impossible by subsequent building, but from what has been excavated, and from tombs in the area around the village, it is estimated that the population was at most about 400. It was, however, only about 6 kilometers from the city of Tzippori (ancient “Sepphoris”), which was destroyed by the Romans in 4 BCE, and thereafter was expensively rebuilt. Analysis of the landscape and other evidence suggest that in Joseph’s lifetime Nazareth was to a degree dependent on Tzippori, which had an overwhelmingly Jewish population, although with many signs of Hellenization. Historians have speculated that Joseph, and later Jesus, might have traveled daily to work on the rebuilding. The large theater in the city has been suggested specifically, although this has aroused much controversy over dating and other issues. 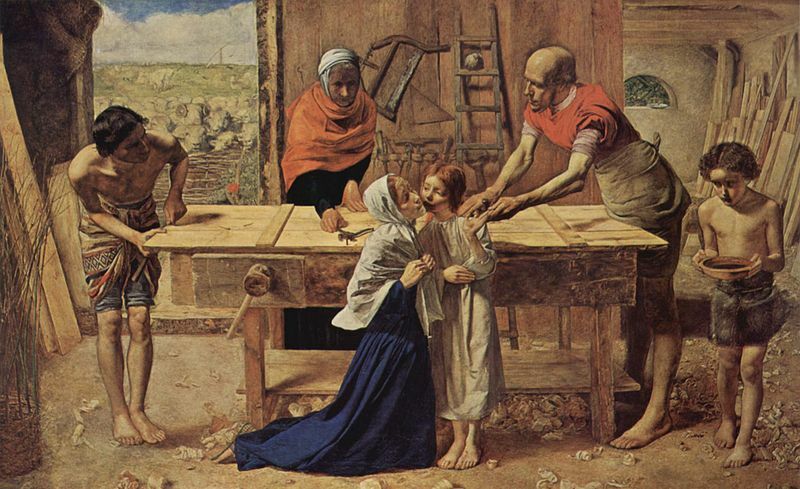 Other scholars see Joseph and Jesus as the general village craftsmen, working in wood, stone, and metal on a wide variety of jobs. 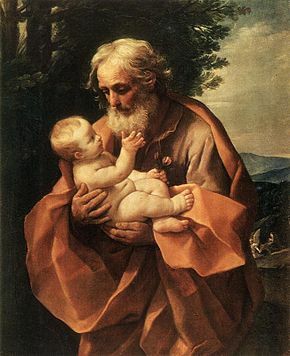 In Sicily, where St. Joseph is regarded by many as their patron, and in many Italian-American communities, thanks are given to St. Joseph (San Giuseppe) for preventing a famine in Sicily during the Middle Ages. According to legend, there was a severe drought at the time, and the people prayed for their patron saint to bring them rain. They promised that if he answered their prayers, they would prepare a large feast to honor him. 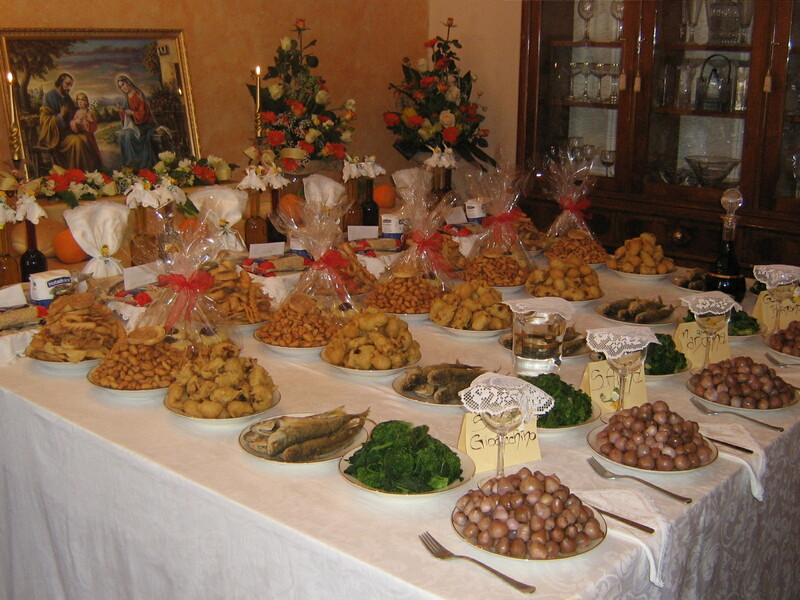 The rain did come, and the people of Sicily prepared a large banquet for their patron saint. The fava bean was the crop which saved the population from starvation and is a traditional part of St. Joseph’s Day altars and traditions. Giving food to the needy is a St. Joseph’s Day custom. 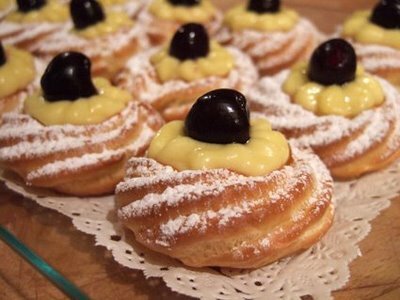 In some communities it is traditional to wear red clothing and eat a Neopolitan pastry known as a Zeppole (created in 1840 by Don Pasquale Pinatauro of Naples) on St. Joseph’s Day. 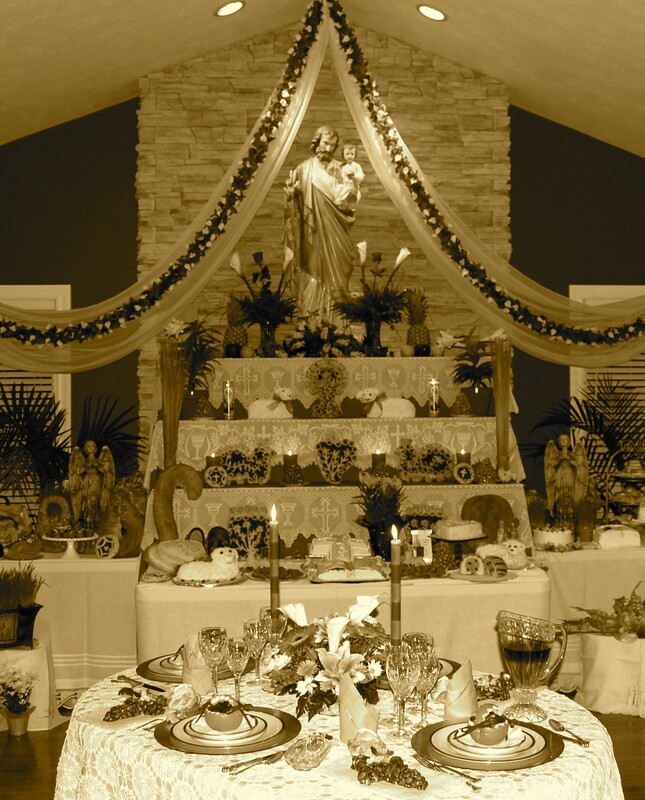 Upon a typical St. Joseph’s Day altar, people place flowers, limes, candles, wine, fava beans, specially prepared cakes, breads, and cookies (as well as other meatless dishes), and zeppole. Foods are traditionally served containing bread crumbs to represent sawdust since St. Joseph was a carpenter. Because the feast occurs during Lent, traditionally no meat was allowed on the celebration table. The altar usually has three tiers, to represent the trinity. On the Sicilian island of Lipari, The St. Joseph legend is modified somewhat, and says that sailors returning from the mainland encountered a fierce storm that threatened to sink their boat. They prayed to St. Joseph for deliverance, and when they were saved, they swore to honor the saint each year on his feast day. The Lipari celebration is somewhat changed, in that meat is allowed at the feast. 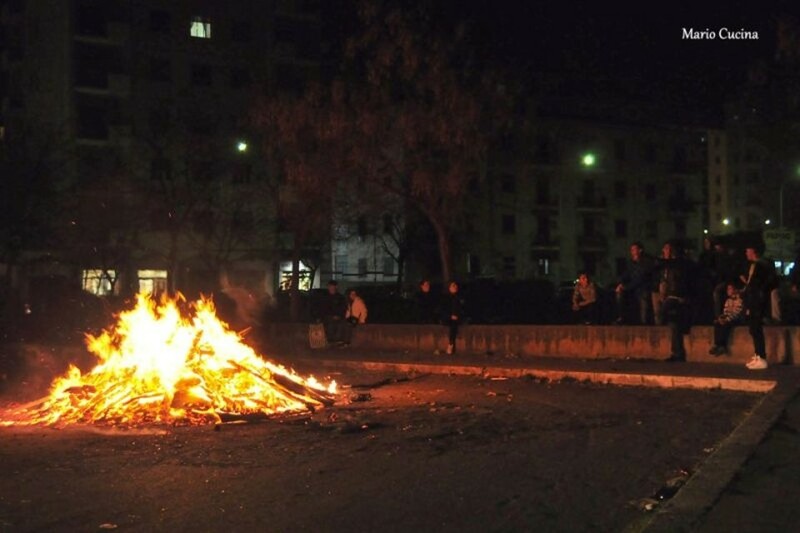 Some villages like Avola used to burn wood and logs in squares on the day before St.Joseph, as thanksgiving to the Saint. In Belmonte Mezzagno this is currently still performed every year, while people ritually shout invocations to the Saint in local Sicilian dialect. This is called “A Vampa di San Giuseppe” (the Saint Joseph’s bonfire). Spectacular celebrations are also held in Bagheria. The Saint is even celebrated twice a year, the second time being held especially for people from Bagheria who come back for summer vacation from other parts of Italy or abroad. In Italy March 19 is also Father’s Day. This is one of the public holidays in Malta, known as Jum San Ġużepp. People celebrate mass in the morning, and in the afternoon go for a picnic. It is a liturgical feast in particular Sunday in summer. 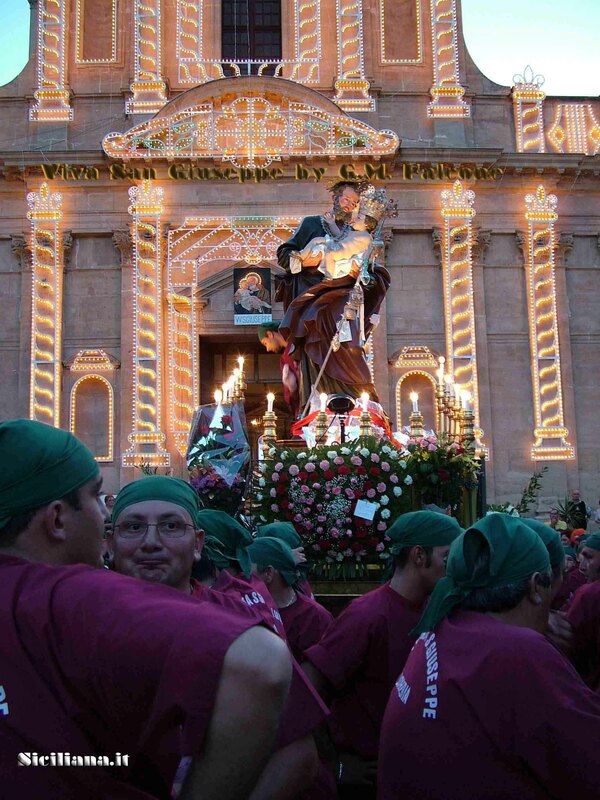 However, the city of Rabat celebrates the traditional Maltese feast on the 19th of March, where in the evening a procession is also held with the statue of St Joseph. On this day also the city of Żejtun celebrates the day, known as Jum il-Kunsill (Zejtun Council’s Day), till 2013 was known as Jum iż-Żejtun (Zejtun’s Day). During this day a prominent person from Żejtun is given the Żejtun Honor (Ġieħ iż-Żejtun). 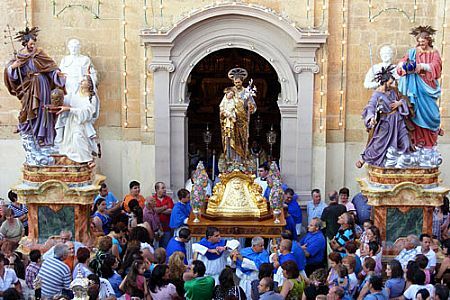 In past years the Żejtun Parish Church has celebrated these feast days with a procession with the statue of Saint Joseph. In Spain, the day is a version of Father’s Day. In some parts of Spain it is celebrated as Falles. The five days and nights of Falles leading up to 19 March are a continuous party. There are a number of processions daily: historical, religious, and comedic. Crowds in the restaurants spill out into the streets. Explosions can be heard all day long and sporadically through the night. Foreigners may be surprised to see everyone from small children to elderly people throwing fireworks and noisemakers in the streets, which are littered with pyrotechnical debris. The timing of the events is fixed and they fall on the same date every year, though there has been discussion about holding some events on the weekend preceding the Falles, to take greater advantage of the tourist potential of the festival or changing the end date in years where it is due to occur in midweek. Each day of Falles begins at 8:00 am with La Despertà (“the wake-up call”). 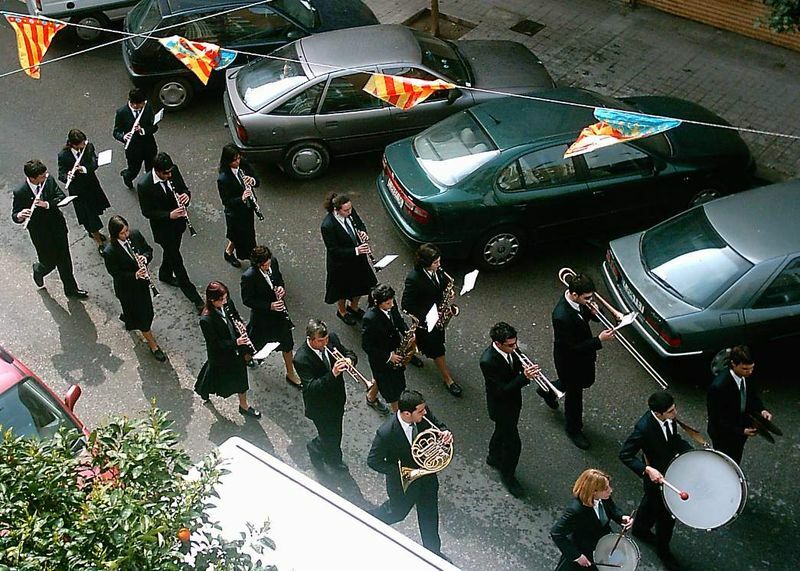 Brass bands appear from the casals and begin to march down every street playing lively music. Close behind them are the fallers, throwing large firecrackers in the street as they go. The Mascletà, an explosive barrage of coordinated firecracker and fireworks displays, takes place in each neighbourhood at 2:00 pm every day of the festival; the main event is the municipal Mascletà in the Plaça de l’Ajuntament where the pyrotechnicians compete for the honor of providing the final Mascletà of the fiestas (on 19 March). At 2:00 pm the clock chimes and the Fallera Mayor (dressed in her fallera finery) will call from the balcony of City Hall, Senyor pirotècnic, pot començar la mascletà! (“Mr. Pyrotechnic, you may commence the Mascletà!”), and the Mascletà begins. 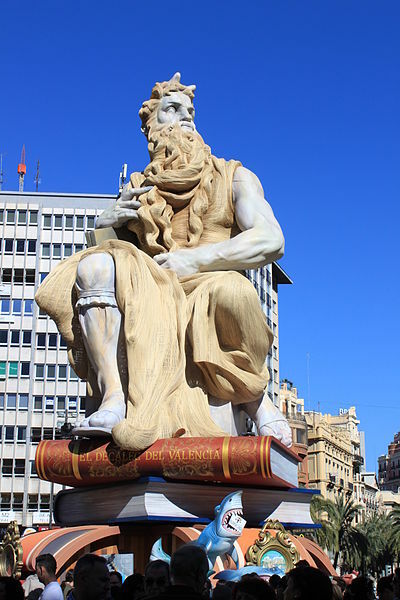 The day of the 15th all of the falles infantils are to be finished being constructed and later that night all of the falles majors (major Falles) are to be completed. If not, they face disqualification. In this event, the flower offering, each falla casal takes an offering of flowers to the Virgin Mary as Our Lady of the Abandoned. This occurs all day during 17–18 March. A statue of the Virgin Mary and its large pedestal are then covered with all the flowers. On the nights of the 15, 16, 17, and 18th there are firework displays in the old riverbed in Valencia. Each night is progressively grander and the last is called La Nit del Foc (the Night of Fire). On the final evening of Falles, at 7pm on March 19, a parade known in Spanish as the Cabalgata del Fuego (the Fire Parade) takes place along Colon street and Porta de la Mar square. This spectacular celebration of fire, the symbol of the fiesta’s spirit, is the grand finale of Falles and a colorful, noisy event featuring exhibitions of the varied rites and displays from around the world which use fire; it incorporates floats, giant mechanisms, people in costumes, rockets, gunpowder, street performances and music. On the final night of Falles, around midnight on March 19, these falles are burnt as huge bonfires. This is known as La Cremà (the Burning), the climax of the whole event, and the reason why the constructions are called falles (“torches”). 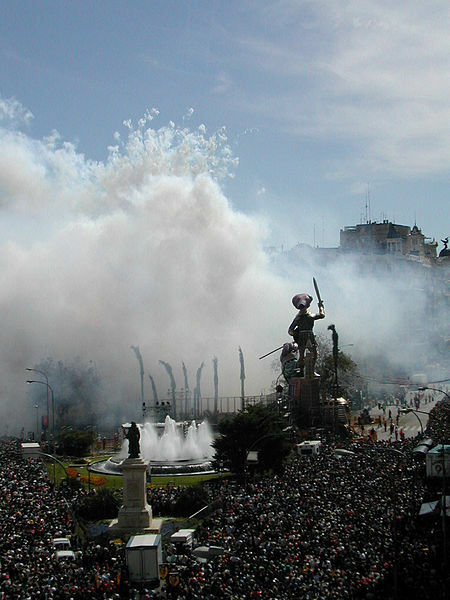 Traditionally, the falla in the Plaça de l’Ajuntament is burned last. Many neighborhoods have a falla infantil (a children’s falla, smaller and without satirical themes), which is held a few metres away from the main one. This is burnt first, at 10:00 pm. The main neighborhood falles are burnt closer to midnight; the burning of the falles in the city centre often starts later. 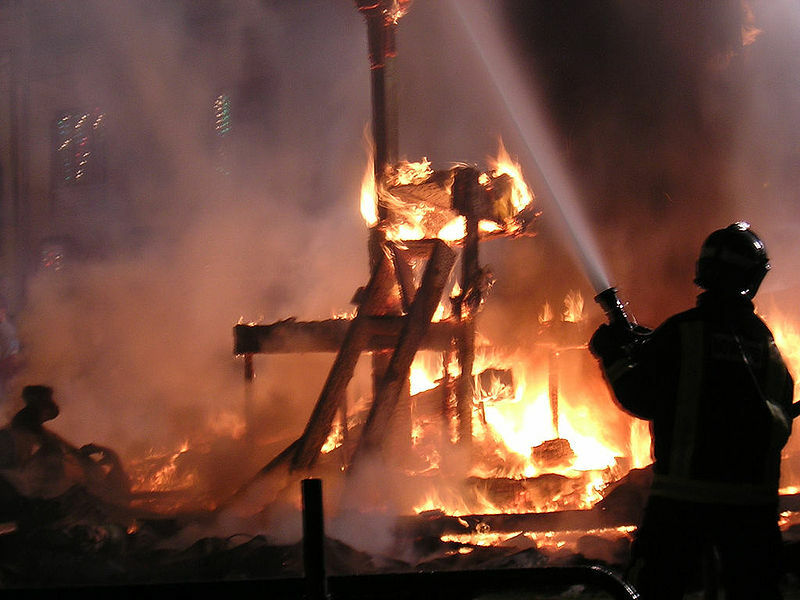 For example, in 2005, the fire brigade delayed the burning of the Egyptian funeral falla in Carrer del Convent de Jerusalem until 1:30 am, when they were sure all safety concerns were addressed. Each falla is laden with fireworks which are lit first. The construction itself is lit either after or during the explosion of these fireworks. Falles burn quite quickly, and the heat given off is felt by all around. The heat from the larger ones often drives the crowd back a couple of metres, even though they are already behind barriers that the fire brigade has set several meters from the construction. In narrower streets, the heat scorches the surrounding buildings, and the firemen douse the façades, window blinds, street signs, etc. 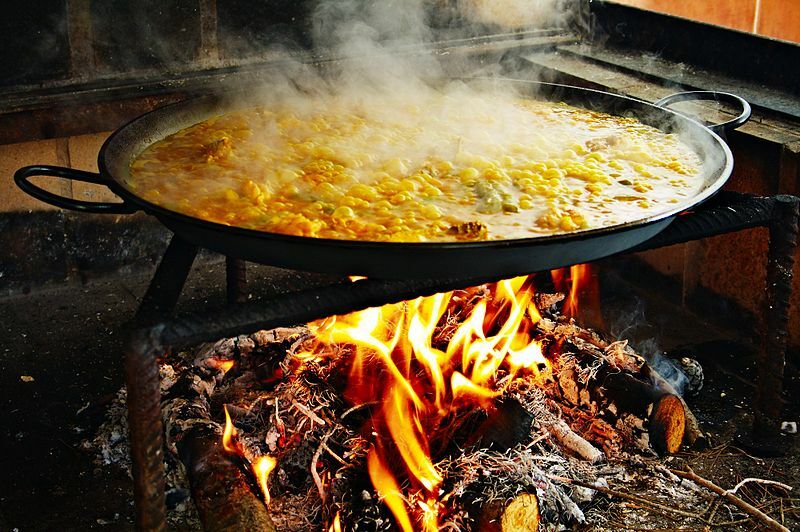 with their hoses to stop them catching fire or melting, from the beginning of the cremà until it cools down after several minutes. Away from the falles, people dance in the streets, the whole city resembling an open-air dance party, except that instead of music there is the incessant (and occasionally deafening) sound of people throwing fireworks around randomly. 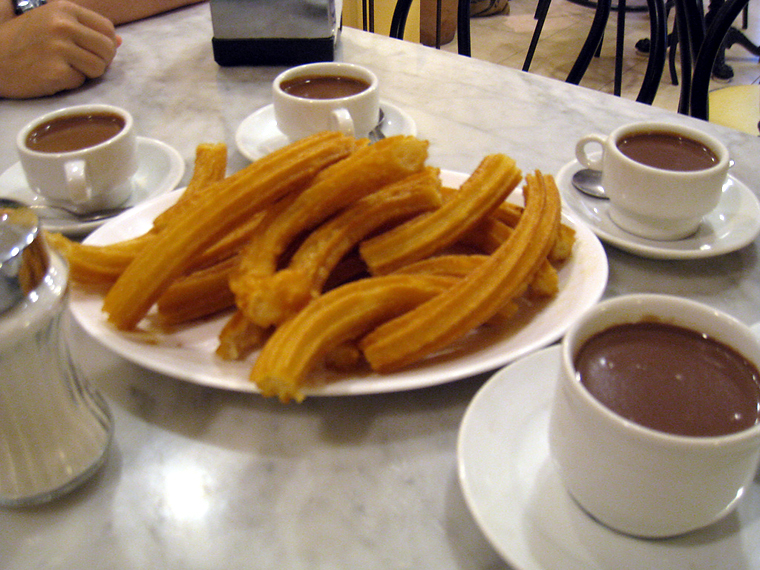 There are stalls selling products such as the typical fried snacks porres, xurros (churros), and bunyols (doughnuts), as well as roasted chestnuts or trinkets. In the Philippines, many families keep a tradition in which an old man, a young lady, and a small boy are chosen from among the poor and are dressed up as St. Joseph, the Virgin Mary, and the child Jesus, respectively. They are then seated around a table set with the family’s best silverware and china, and served a variety of courses, sometimes being literally spoon-fed by the senior members of the family, while the Novena to St. Joseph is recited at a nearby temporary altar. In New Orleans, Louisiana, which was a major port of entry for Sicilian immigrants during the late 19th century, the Feast of St. Joseph is a city-wide event. Both public and private St. Joseph’s altars are traditionally built. The altars are usually open to any visitor who wishes to pay homage. The food is generally distributed to charity after the altar is dismantled. There are also parades in honor of St. Joseph and the Italian population of New Orleans which are similar to the many marching clubs and truck parades of Mardi Gras and St. Patrick’s Day. Tradition in New Orleans also holds that by burying a small statue of St. Joseph upside down in the front yard of a house, that house will sell more promptly. In addition to the above traditions, some groups of Mardi Gras Indians stage their last procession of the season on the Sunday nearest to St. Joseph’s Day otherwise known as “Super Sunday,” after which their costumes are dismantled. In the Mid-Atlantic regions, Saint Joseph’s Day is traditionally associated with the return of anadromous fish, such as striped bass, to their natal rivers, such as the Delaware. St. Joseph’s Day is also the day when the swallows are traditionally believed to return to Mission San Juan Capistrano after having flown south for the winter. People in Sicily prepare their tavole di San Giuseppe, their ‘St Joseph’s tables’, which display the earth’s bounty and represent the householders’ gratitude for the saint’s continued protection. The foods are meant to be shared with the poor. Three disadvantaged children are invited into the home; often these three are dressed in bed sheets to represent the Holy Family and they are treated as guests of honor. Called virgineddi, they eat from the many dishes on the table, which include pastries and breads, because St Joseph is patron saint of pastry chefs and fry cooks. 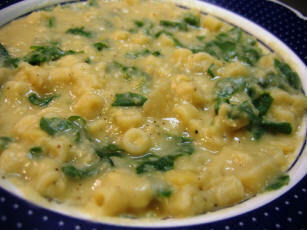 They always have maccu di San Giuseppe, a stew with five kinds of legumes and many other vegetables and herbs. Borage, which provides a green element, is a perennial herb with large green leaves that grows easily in most climates and soils. It is not usually available in markets. Substitute other leafy greens. Legume Soup for Saint Joseph’s, or Maccu di San ‘Gnuseppi is, says Pino Correnti in his Il Libro d’Oro della Cucina e dei Vini di Sicilia, “a ritual soup for San Giuseppe and also a custom handed down from the celebrations of the spring equinox in classical time: the housewife clears her pantry of the leftover dried legumes in the expectation of the new harvest to come.” Once in a while when I clean out my pantry I make something similar with the tail ends of packs of legumes and whatnot – always different; always delicious. Set all the legumes except the lentils, which cook quickly, to soak in lightly salted water the night before. The next day drain them, and set all the legumes to boil in a big pot of lightly salted water, adding the onion, tomatoes, and greens, chopped, after about two hours. Continue simmering for another couple of hours, by which time it will be ready. Check seasoning, and serve over the croutons, with a cruet of extra virgin olive oil for people to drizzle over their soup.